Make your home stand up to unpredictable weather and unforeseen power outages with the most trusted name in residential standby power. Have power when you need it … and where you need it! Elite Generators Inc. The Leading Generator Specialist serving all of Southern California. Specializing in generator installation, generator repair, generator maintenance service. Servicing Malibu, Newport Beach, Brentwood, Bel Air, Ranch Palos Verdes, Thousand Oaks, Huntington Beach, Laguna Beach, Laguna Niguel, Hollywood Hills, Bradbury. Residential, Commercial and Industrial Standby Generators available. 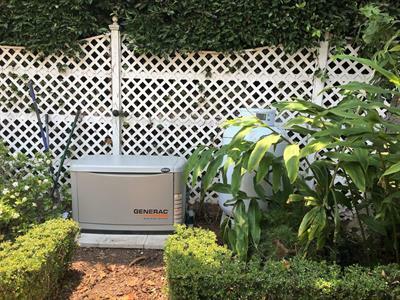 As Authorized Service Dealers for Generac, these standby generators come with over 50 years experience engineering standby power solutions. Proudly being a family owned and operated business, we understand the value of piece of mind. We provide that piece of mind with safe, dependable stand-by generator power.